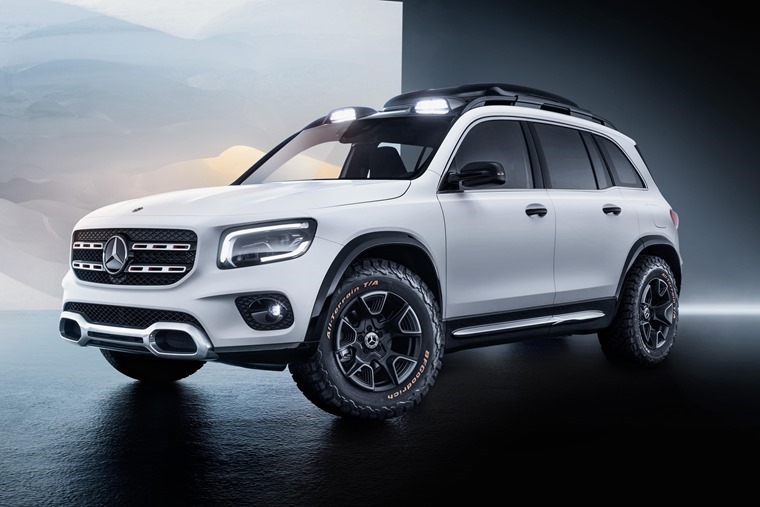 Mercedes-Benz has revealed its exciting, chunky, all-new GLB concept at the Shanghai Motor Show, which looks to be taking aim at the Range Rover Evoque and Volvo XC40 with a baby G-Class. Showing just how spacious and robust a compact car can be, the GLB concept is 4,634mm long, 1,890mm wide and 1,900mm high. When you factor that in with its long wheelbase of 2,829mm, all this adds up to space for seven seats. With its boxy, off-road design, the GLB aims to offer class-leading levels of versatility. 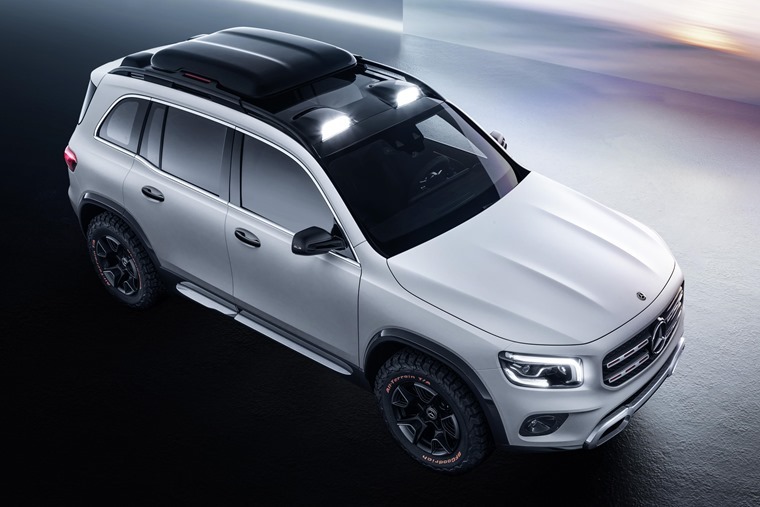 Featuring two LED spotlight shrouds which emerge from the roof frame as well as 17in rough treaded tyres to both aid off-roading, the concept is a true statement of intent. 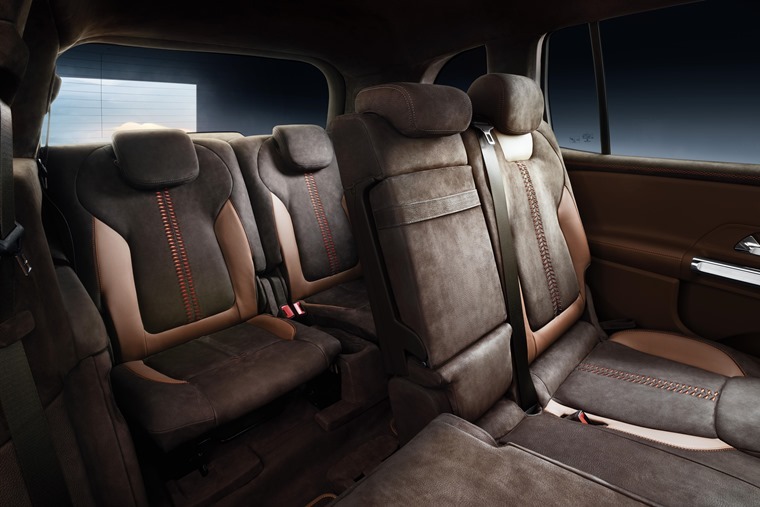 On the inside, seats, fittings and door panels are partially lined in nappa and nubuk leather. 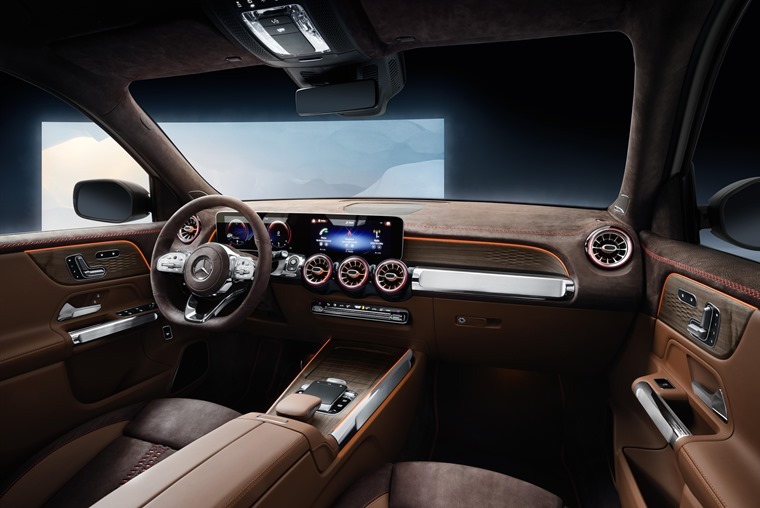 The basic architecture of the dashboard corresponds to that of the B-Class, with a widescreen cockpit facing the driver and the functions and displays controlled via the Mercedes-Benz User Experience infotainment. The GLB concept is powered by the M 260 four-cylinder petrol engine combined with an 8G-dual clutch transmission. This gives a maximum output of 224hp and peak torque of 350 Nm. 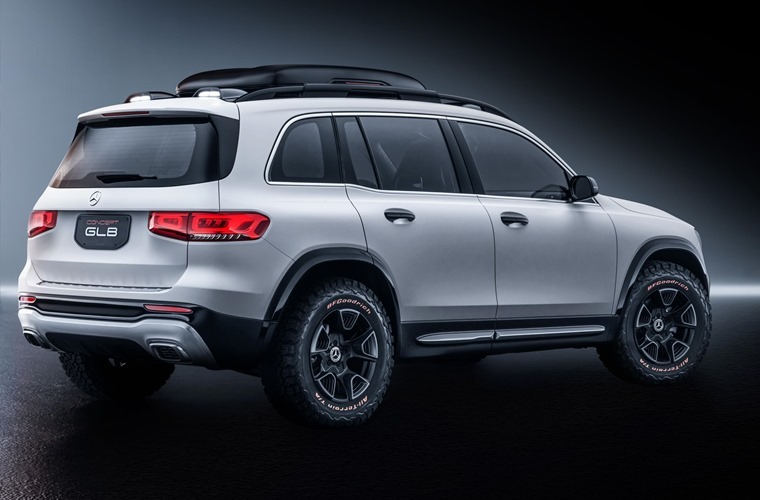 Further equipped with the 4matic permanent all-wheel system, this will allow the driver to switch between Standard, Comfort and Off-road to influence the characteristics of the drive. Distribution of torque will change between the front and rear axles in Standard mode to 50:50 front to rear, 80:20 in Comfort mode, and rear wheel-biased at 70:30 in Sport mode. We’ve assumed another compact SUV-shaped model was in the works at Mercedes since it revealed its road map for 2020 last year. With more than 820,000 units sold in 2018, SUVs were the strongest segment for Mercedes-Benz so where’s the harm in adding one more? The GLB has all the making of being a big hit. Expect a production-ready GLB to feature at the Frankfurt Motor Show in autumn.